I found this drink on Pinterest. Here is the website. I made this because I actually had all of the ingredients in the house. It was pretty good. Put the sprinkles on a plate. Place the chocolate icing on a small plate (or use water). Flip your glass upside down to coat the rim. 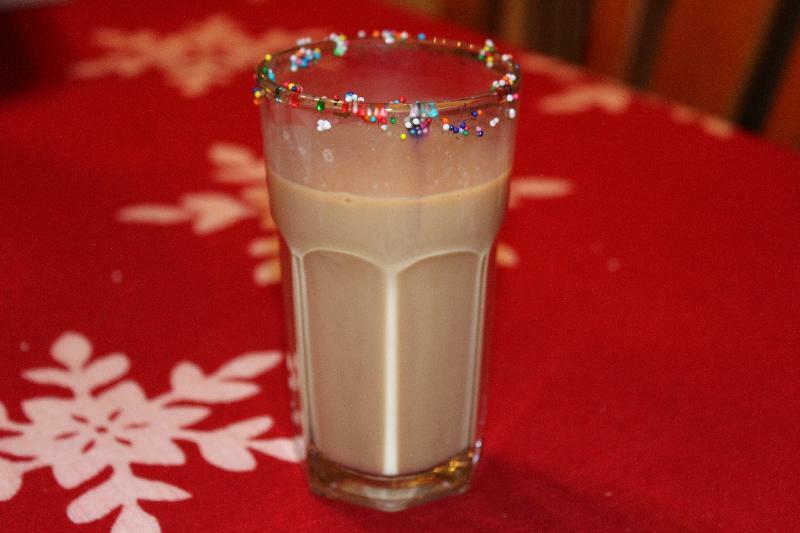 Next, quickly dip the glass into the sprinkles to coat the rim. Finally pour the other ingredients into a shaker. Shake to mix and pour into a glass to enjoy!